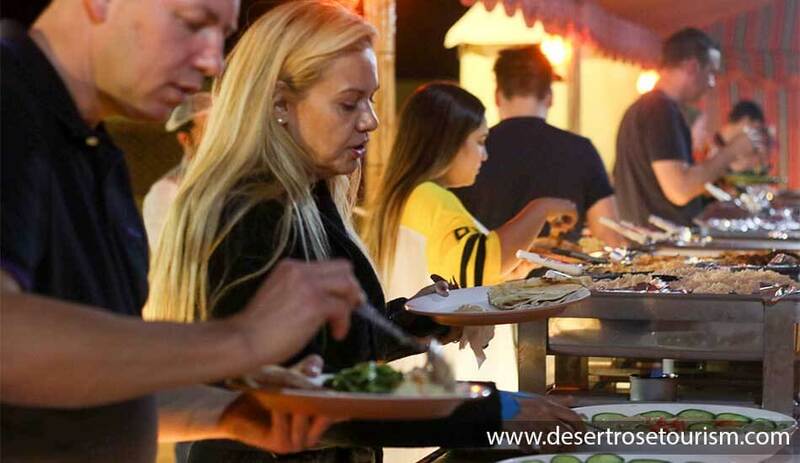 Visit to a traditional, Arabian Bedouin Camp, where you will be able to observe the true hospitality of Arabia and learn the humble Bedouin lifestyle. 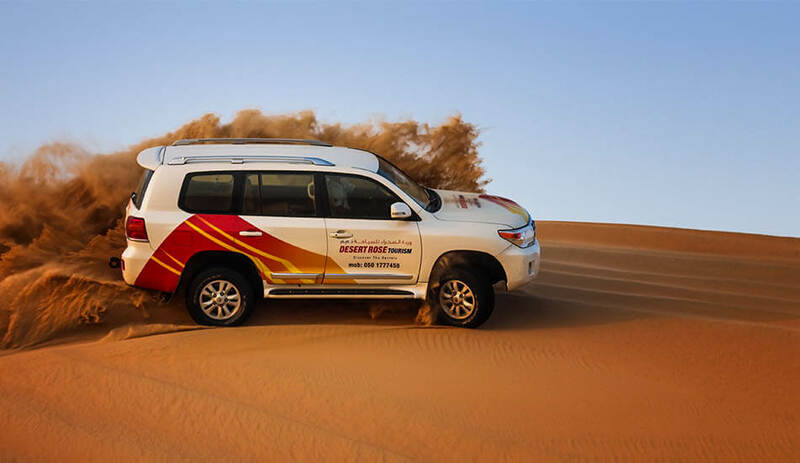 Experience the famous factor of the United Arab Emirates, the desert, with this exciting Abu Dhabi Evening desert safari. As soon as you enter the desert you will have a grand time with a thrilling session of dune bashing. This activity takes you on a bumpy ride across the lofty dunes and gives you a good dose of adrenaline to rejuvenate you. 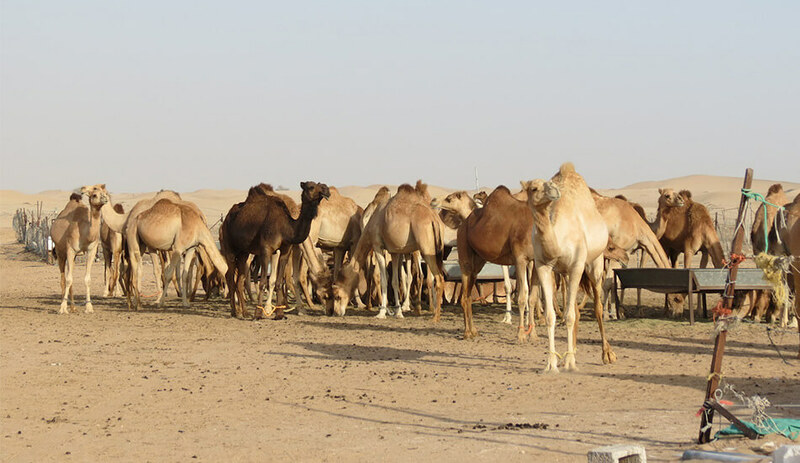 Next, visit a camel farm and experience crossing the desert, just like the Bedouins did by riding on a camel. Once you have seen the desert from a different perspective give sand skiing a try before stopping at the summit of a	dune to view the glorious sunset. After your mind is filled with the hazy views of the sunset, you will be escorted to	the desert camp where steaming Qahwa (Arabic coffee), tea and dates will be waiting for you. After refreshing yourself with	the beverages give henna painting or sheesha a try before sitting down for a delicious BBQ Dinner that is accompanied with a	live performance of entertaining belly dance. 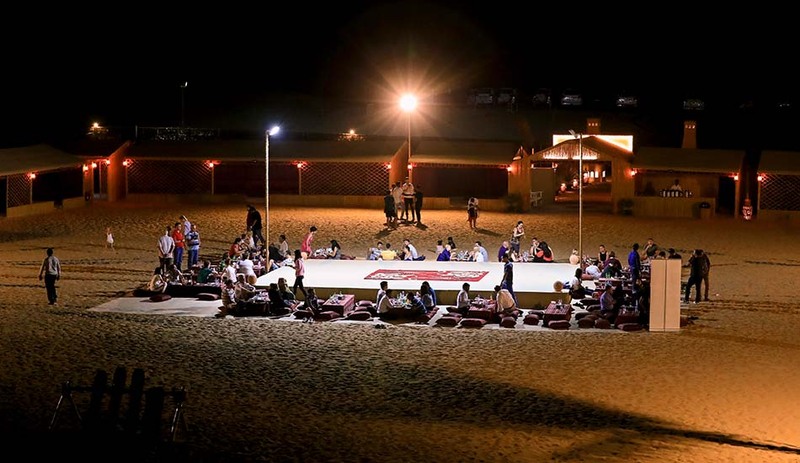 This evening desert safari in Abu Dhabi will give you an experience brimming with wonderful	moments in the desert.